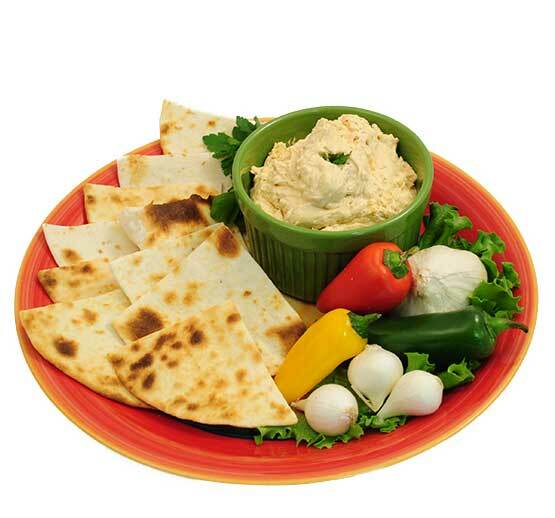 The main ingredients in Dawn's traditional dips are real Wisconsin sour cream and cream cheese which gives our products their rich flavor and great body texture. 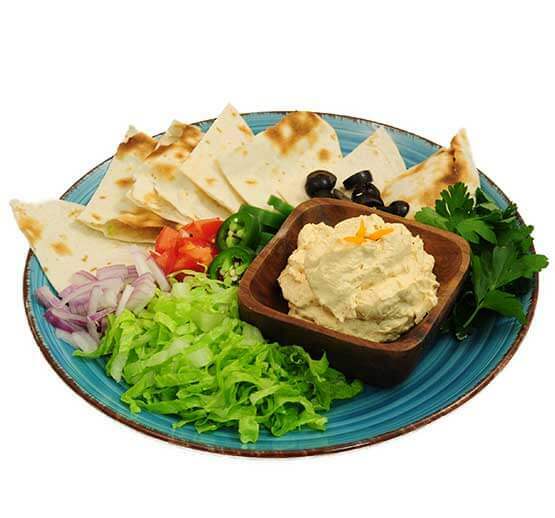 Our absolutely delicious line of "Five Star Dips" has 11 varieties to satisfy everyone's tastes. 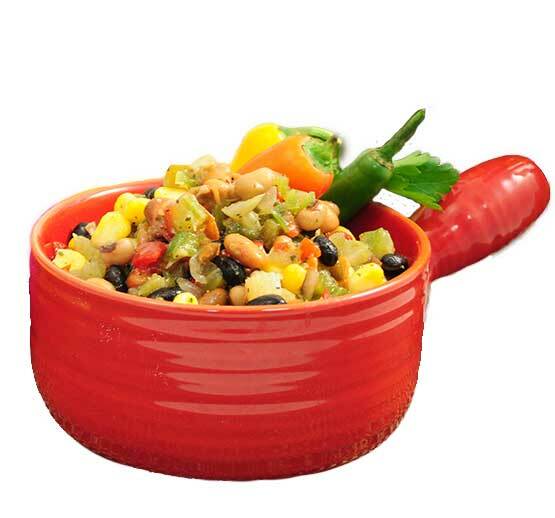 Dawn's South of the border and Bean Spreads are ideal for your taco party tray needs. Hearty Refried Beans Blended with Fresh Sour Cream and Southwest Spices. 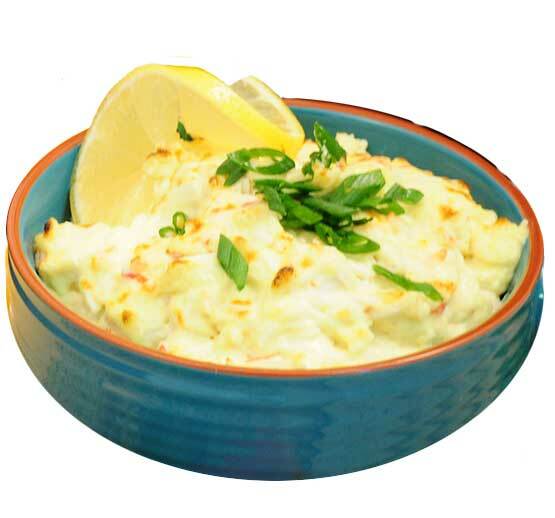 Imitation Crabmeat with Fresh Cream Cheese and Real Sour Cream Blended with Authentic Cajun Seasonings. Roasted Chipotle Peppers, Black Beans and Real Wisconsin Cheddar Cheese Blended with Sour Cream Cilantro Dressing. 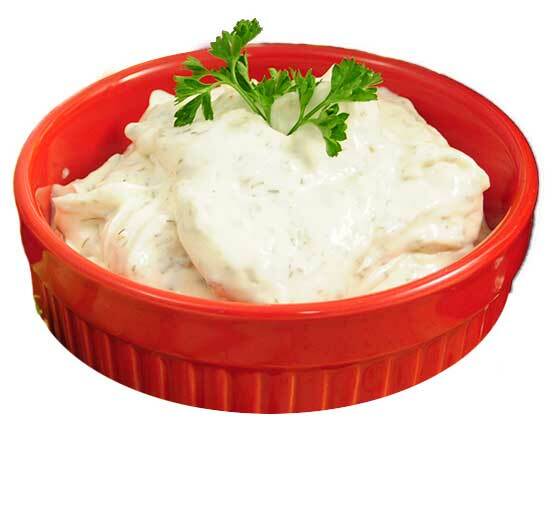 Fresh Sour Cream and Deli Dressing Blended with Savory Spices and Dill Weed. 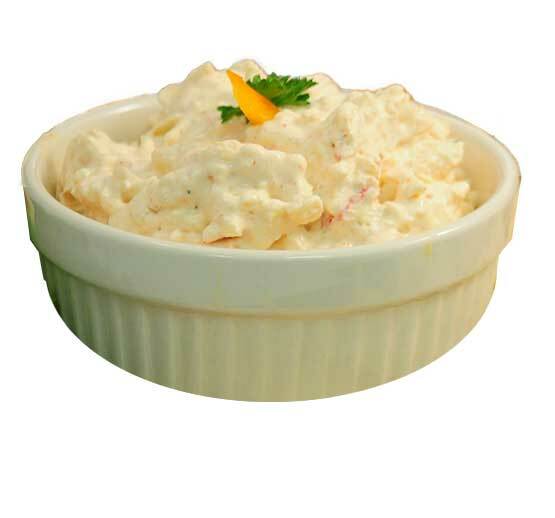 Fresh Creamy Sour Cream Blended with Fresh Onions and Spices. 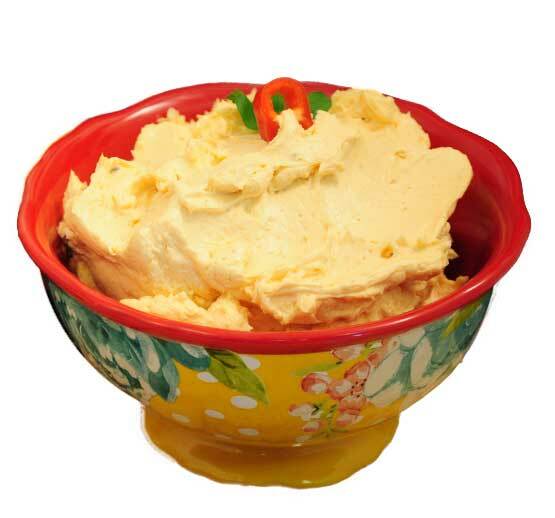 Real Wisconsin Cheeses Blended with Shaved Beef, Mayonnaise, Fresh Bell Peppers and Onions. 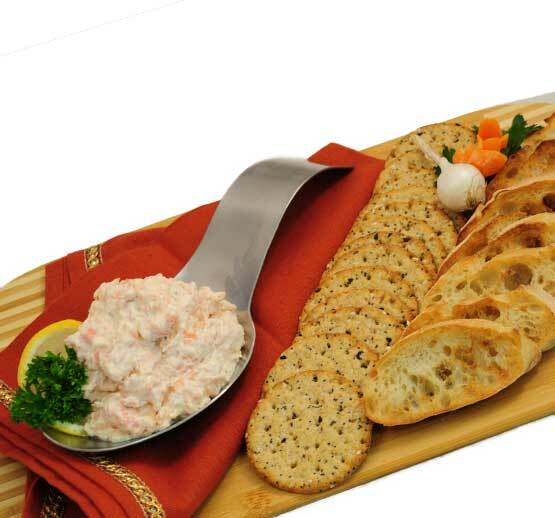 Real Cream Cheese and Creamy Mayonnaise Blended with Smoked Salmon Flavored Seafood and Real Alaskan Salmon. 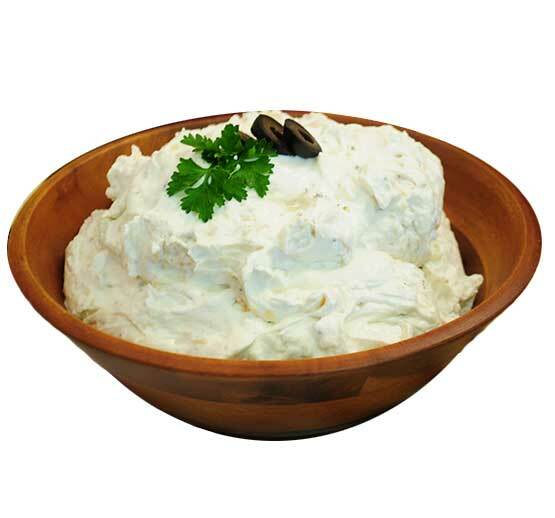 Fresh Cream Cheese and Sour Cream with Real Mayonnaise Blended with South of the Boarder Taco Seasoning. Fresh Cream Cheese and Sour Cream with Real Mayonnaise Blended with Tender Artichoke Hearts, Spinach and Pepper Jack Cheese. 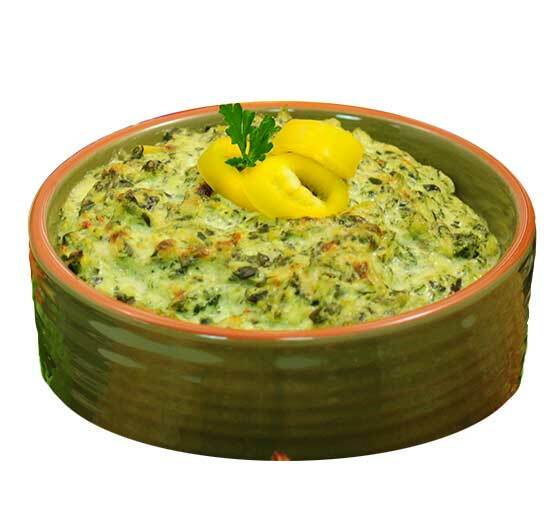 Fresh Sour Cream and Real Mayonnaise Blended with Fresh Spinach and Water Chestnuts. 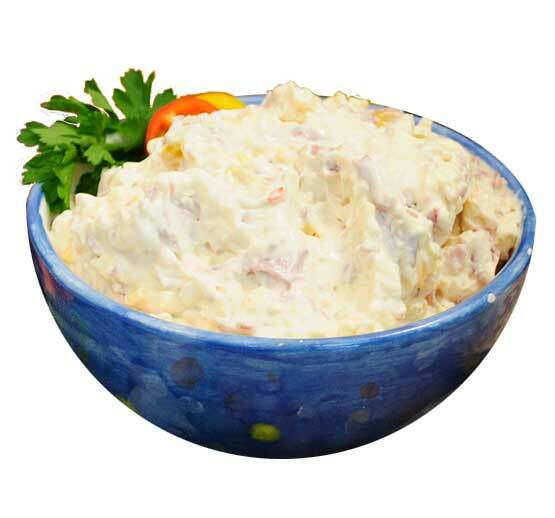 Real Cream Cheese and Fresh Sour Cream Blended with Southwestern Taco Seasoning. Fresh Sour Cream Blended with Whipped Topping and Strawberries. 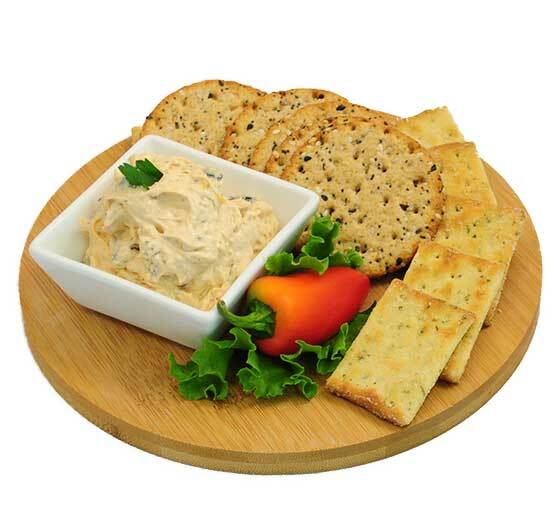 Fresh Cream Cheese and Tangy Dressings Blended with Onion and Garlic. 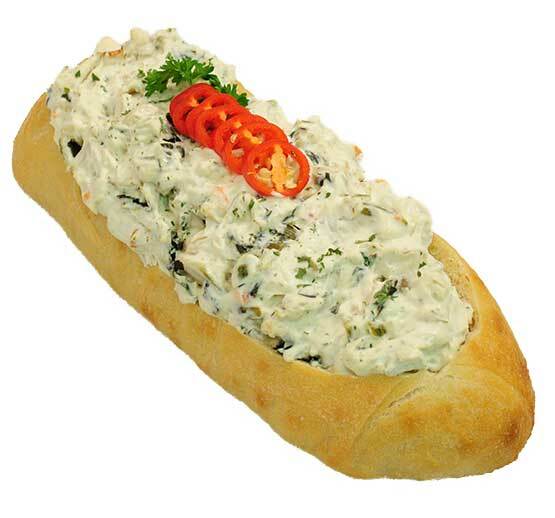 Imitation Crabmeat with Fresh Cream Cheese, Real Mayonnaise and Hearty Salad Mustard.